In the "Leads" tab of the side menu, click on " Newsletter subscriptions". Click on "Download the list" to download the list in CSV format. 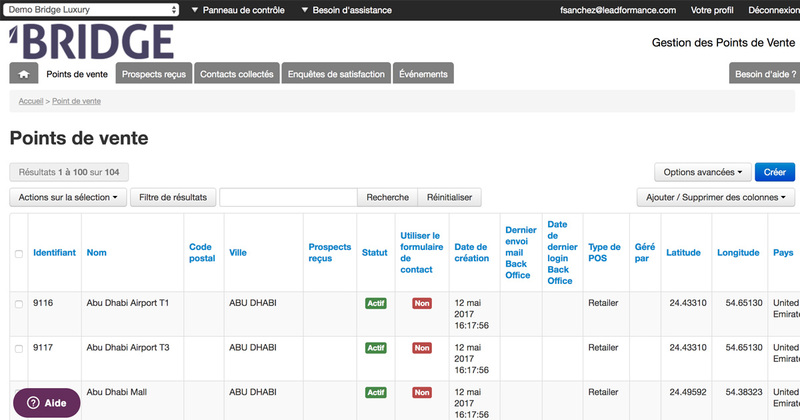 N.B: The export file contains the following fields: Subscription date, Email, Location name, Zip code, City, Country of location. 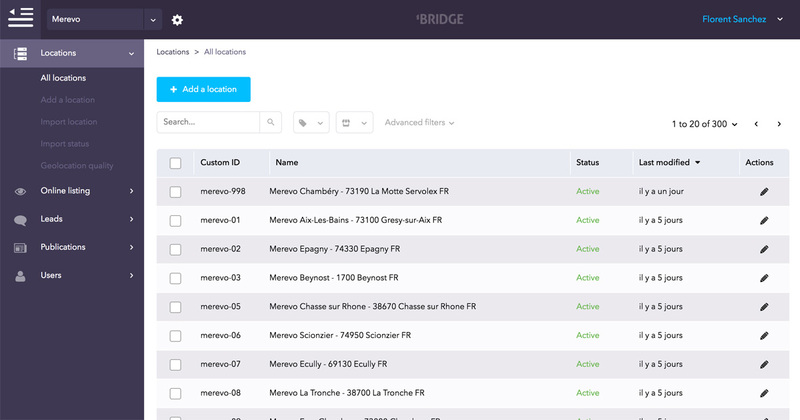 Registering for the newsletter on your store locator means activating the Newsletter module in the general configuration of BRIDGE.